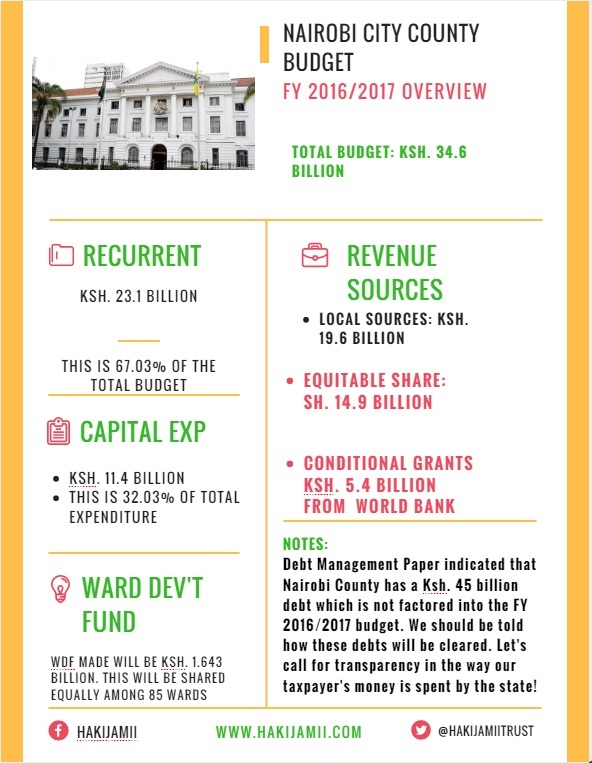 The above infographic summarizes Nairobi City County’s budget for FY 2016/2017. You will notice that Ward Development Fund (WDF) valued at Ksh 1.6 Billion will be shared equally in all the 85 wards. Is this equitable? Is there fairness? The equity topic is quite slippery. Most people think that getting equal share is equitable. Let’s learn more about equity during the #EquityWeek coordinated by the International Budget Partnership Kenya, Katiba Institute, SID and the Youth Congress. The week will be action-based starting with a Keynote Address on 19th September by Dr. Willy Mutunga, the former Chief Justice of Kenya at Strathmore Business School Auditorium. On Tuesday 20th September, the International Budget Partnership will release a research at Laico Regency. The paper will be titled: Equity or Equality. We can’t wait to have a look at your findings. This day will be crowned with a Policy Discussion with Senator Mutula Kilonzo, Linet Oyugi of Commission on Revenue Allocation and David Achero of Article 19 as panelists. 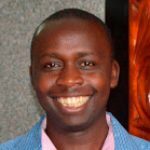 On Wednesday 21st, Ali Hersi of Society for International Development (SID) will tackle the issue of Managing Global Inequality. We will mark the end of this big day by watching the film: Measure of Fairness at ALLIANCE FRANCAISE MULTIPURPOSE ROOM. The film will start at exactly 7:00 PM moderated by Michael Orwa. Thursday 22nd will be a day for scholars to dig deep into the equity topic. The organizers have lined up great professors, Karuti Kanyingi and Winnie Mitullah to share their findings on inequality with the public. On the same note, Waikwa Wanyoike will tell the world what the Constitution says about equity. Don’t miss to drink from the fountain of knowledge at the Education Building at University of Nairobi. Starting from 7 pm, the poets will be waiting the Professional Center to emphasize the equity message. The icing on the Cake will be at Korogocho on 23rd September where the community will be discussing whether Wanjiku is getting her fair share of the national cake. This is a significant event that will let the community have they say.